I’ve been wearing trifocal glasses for several years, and I’ve learned it’s important to keep them clean. A smudge can cover all three vision fields of a lens which makes focusing a tenuous task. In most any endeavor you will undertake, your focus will determine much of your success. 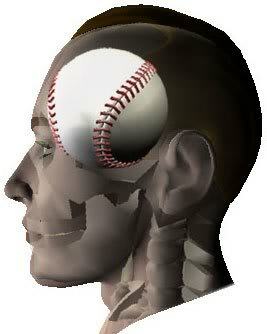 In the field of sports, one of the most difficult skills to develop is learning to hit a baseball. Ted Williams was a leftfielder for the Boston Red Sox and played his last game in 1960. He was also the last major leaguer to bat for over .400 in a season. His career average was .344. In the history of Major League Baseball only 30 players, with a minimum of 3,000 plate appearances, have batted .330 for their careers. Of all the great athletes who have stepped to the plate with bat in hand, only 205 of them ended their careers with a .300 batting average. The difference between the 205 and the thousands of others is focus. Their focus on the ball and their ability to recognize its spin allowed them to put it into play. When we see things through the lens of eternity, our focus is on Jesus. This allows us to see the “spin,” so we don’t get tripped up or ensnared by the things of this world. ← Need I Say More?